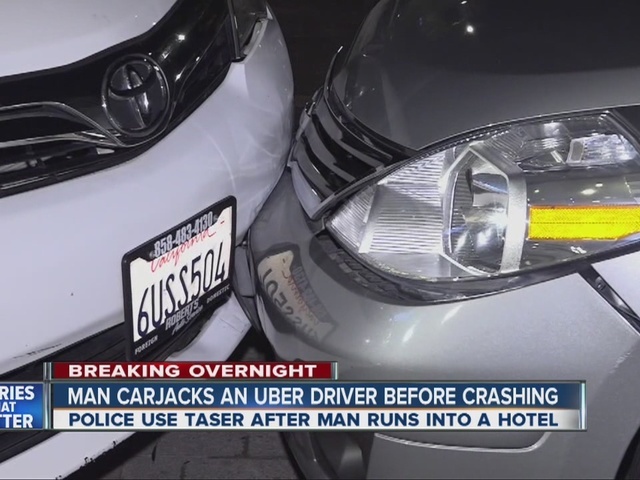 SAN DIEGO -- A man carjacked an Uber driver early Wednesday morning, and then crashed the car in front of the lobby of the Marriott downtown. According to San Diego police, the carjacking occurred at about 1:30 a.m. in the area of 10th Avenue and E Street. 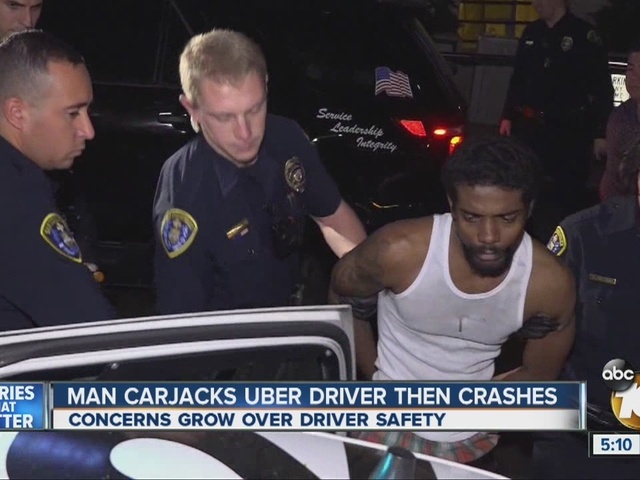 The suspect reportedly punched the Uber driver in the face and drove off in his car. The suspect then crashed into another Uber car just outside the front doors of the Courtyard by Marriott at 530 Broadway. He then ran into the hotel. A guest called 911 after the suspect began banging on doors. Officers found him, and after a brief struggle, he was tased and taken into custody. He was transported to UC San Diego Medical Center for a medical evaluation before being booked. No one was seriously injured in the incident. The suspect’s name was not immediately released.